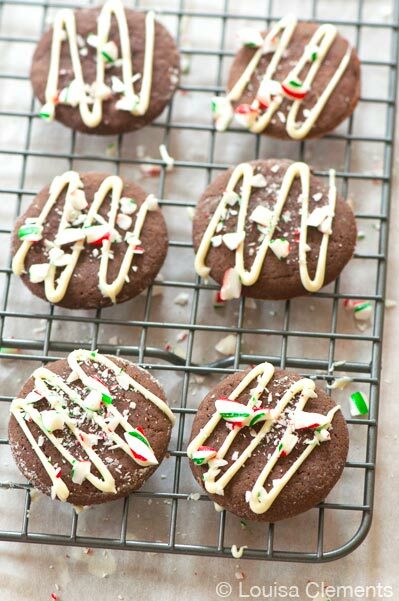 This simple recipe for roll and cut chocolate peppermint cookies are perfect for Christmas. With just a drizzle of white chocolate, decorating is a breeze. I have so much baking to do over the next few days because I have to get my Holiday cookies out to friends and neighbours, luckily I have this dough for chocolate peppermint cookies in my freezer right now. Very happy with my planning ahead abilities right about now. Despite having this dough in the freezer, much of my weekend is going to be devoted to baking…even though I haven’t finished my Christmas shopping yet. Woops. I’m kind of behind, jut a little. I’ve been off school for almost two weeks now, but last week was spent with 14 hour (freezing!!) days helping shoot a movie on the Toronto Island, so as you can imagine, barely any baking, or shopping got done. That’s what happens when you work crazy hours in the film industry. The holidays are just a really busy time in general, even if you’re not working on a movie. I planned on getting so many recipes and photos done, but I’ve found myself seriously falling behind. But that’s OK. There are friends to see, shopping to do, movies to watch, books to read, the list goes on and on. But it’s a good list, a list that makes me happy. I always find that when I’m busy, there’s this little thing called writer’s block that pops up. Perhaps it’s more of a mental burnout after an absolutely exhausting semester at school. Maybe it’s frustration with things and people that I can’t change. Maybe it’s a last minute rush to meet my goals for 2012, but whatever it is, inspiration, stories…words are not easy to come by. 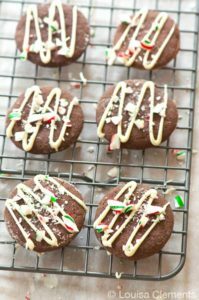 These chocolate peppermint cookies are kind of like the amazing thin mint girl guide cookies, except they’re not quite as crunchy because they aren’t a peppermint pattie, but they do have all the flavours of this iconic cookie. I’ve always loved the combination of chocolate and mint or chocolate and peppermint so those two in a cookie form is just divine. What I love about these cookies is that they’re not too sweet but you get a nice sweetness from the white chocolate on top. worked really well for decorating these cookies. If you are sprinkling with crushed candy canes, be sure to sprinkle before the chocolate has dried! 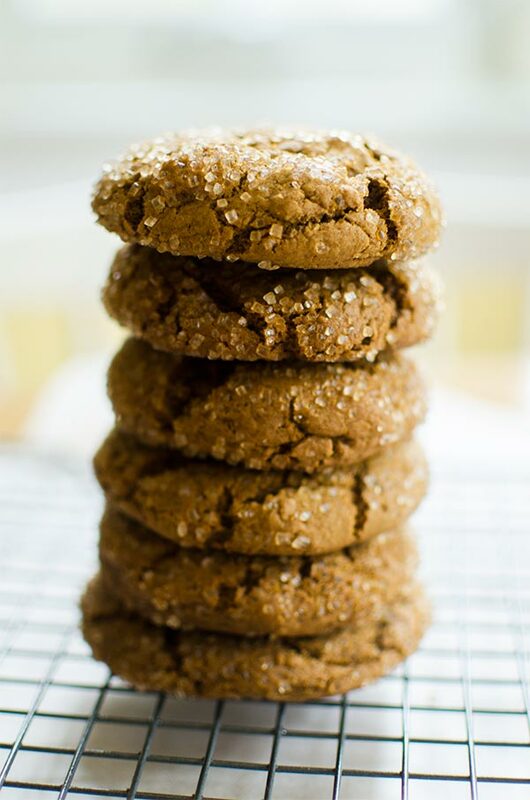 The perfect cookie for your holiday baking! Sift flour, cocoa powder, baking powder, baking soda and salt into a large bowl. In the bowl of a stand mixer fitted with the paddle attachment, cream butter and sugar on medium speed until light and fluffy, about 3 minutes. Add eggs one at a time followed by vanilla, beating well after each addition. Next, with the mixer on low, slowly add the dry ingredients. Shape dough into two disks and cover in plastic wrap. Freeze for one hour. Roll out dough to 1/8" inch thick on a well floured surface. Using a small, round cookie cutter (I couldn't find mine, so I used a shot glass!) cut the dough into round cookies. Bake for 9-11 minutes, cookies should feel dry to the touch. Allow them to cool before drizzling with melted white chocolate. 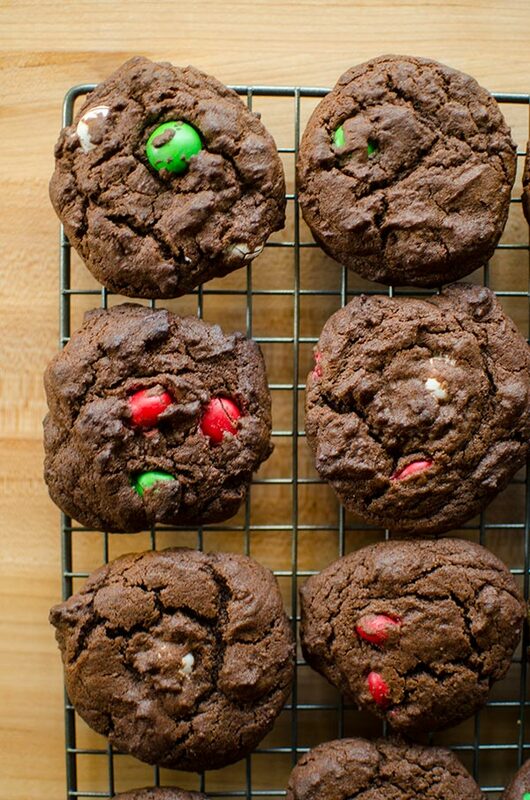 Hope your Christmas preparations are going well, these chocolate peppermint cookies will be perfect for Santa. 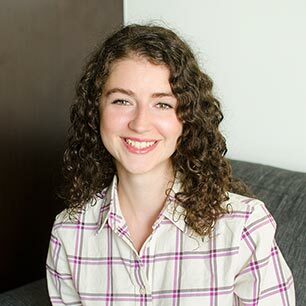 This post contains affiliate links – thank you for supporting Living Lou.